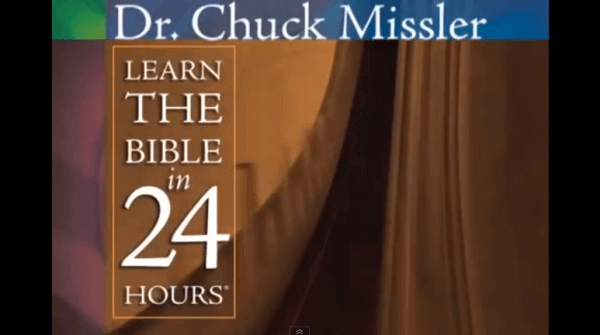 In the next 24 video’s equalling 24 hours, chuck missler will help point out things within the Word that you might other wise slip passed. these videos are aimed at giving you a quick overall picture of the Bible from start to end. if you are new in Yahshua, then hopefully this will be a good help in getting you started on understanding our Abba Father Yhwh, Yahshua Hamashiach ( Jesus Christ ) and the Ruach Kodesh ( Holy Spirit) .